Loathe him or like him, Dr Saraki was – and probably still is – a phenomenon in Nigerian politics. It is no mean feat for one to be a force to reckon with in Nigerian politics for so long as in his case. Some have not spent up to a tenure before meeting their waterloo in the political space of Nigeria. Roughly, Saraki’s sojourn through the political terrain of Nigeria dates back to some 20 years ago or beyond. Somebody is asking how the fuss about Saraki really connects with the above headline. There we go! I had on an occasion written a piece juxtaposing the personality of Chief Bola Tinubu with that of Dr Bukola Saraki. (See Aledeh: “Jagaban: What Our Saraki Must Learn From This Rare Gem). There I argued that there are seemingly a lot of connections between both political figures. I do not want to rehash that here again. The eventful collapse (fall, if you like) of the Saraki dynasty has however brought to the fore for the umpteenth time the long abandoned issue of comparing the Lagos feudal lord with the Governor-general of Kwara. It is no more news that the Saraki dynasty has been cast into the dustbin of history. What is responsible for this? A mass hysteria (some will say revolution) supported by a catchphrase of “o to ge” which translates roughly to enough is enough. In other words, enough of holding Kwara hostage. It is believed that the Saraki dynasty had held sway in Kwara State for about 40 years or thereabouts. The dynasty was founded by the patriarch Saraki (Dr Olushola Saraki, a one-time majority leader in the parliament, that is). In his days, the elder Saraki was solely responsible for who gets what, when and how in Kwara State. Baba played his politics very well. He must have read Niccolo Machiavelli. It is only a disciple of Machiavelli that could corral the people for “puff-puff” in the afternoon as he did, snatching their destiny in the night. I beg your pardon if that is too blunt anyway. I don’t know of other way to present it. So, advise not abuse me. After his demise – an account has it that it was before – the younger Saraki also became the all-in-all of Kwara politics. He imposes and deposes at will as though he was a tin-god. Anyways, he was in the actual sense. Only a tin-god can slap a sitting governor and go scot-free. The story is becoming long and readers may become weary. After about 16 years, Saraki also lost what he met on a platter of gold (apologies to Mallam Bolaji Abdullahi). Some attributed his fall to the curse his father laid on him. Others said it was due to his arrogance. Yet some others are of the view that his greed and over-ambitiousness led to his defeat. Choose any of the above and you will not be incorrect. I knew all was done for Saraki when he started undermining federal might. In my own opinion, federal might plus the masses’ hysteria gave the collapse of the Saraki dynasty. The Sarakis have never won a free and fair election in Kwara. Somebody is saying that is not correct. You need not be an Aristotle to know the above. It’s no rocket science. What the Sarakis rely upon pre-2015 used to be federal might and politics of violence. In the 2015 general election, the popularity of the APC presidential flagbearer, Muhammadu Buhari, was the saving grace of the Sarakis. The results of the 2019 elections are testaments. Things soon fell apart (apologies to Baba Chinua Achebe) in the 2019 general election. The first error Saraki committed was leaving the ruling party. By that, he made himself porous. All his “good boys” were apprehended and all eyes were on him. The massive security deployed to Kwara State, the change of INEC officials that will man Kwara elections on the eve of the gubernatorial election could adduce to this. So, the masses’ revolution also formed a synergy with the above. In no time therefore, Saraki was ousted. I knew the chicken had come home to roost for the Sarakis when the APC presidential candidate, Buhari was billed to visit Kwara for his routine campaign. Despite the chicanery deployed by the original houseboy, Dr Ahmed Fatai that is, Saraki was still disappointed by the massive turnout of Kwarans to welcome Buhari. What Ahmed did was to corral all the commercial motorcycle operators (popularly known as taxi drivers) in the government house in a bid to discourage the people from welcoming the President. To their utmost discomfiture, most people walked to the venue from far and near, notwithstanding the support offered by some APC members who had vehicles. At this juncture, the Sarakis had given up on the people of Kwara. No election had witnessed the shrinking of Saraki in weight than this. He toiled and toiled to no avail. His hegemony would later fall. It is within the context of Saraki’s fall that some political observers have been speculating that Tinubu’s is next. But I beg to disagree. While it is true that no empire or dynasty lasts forever, all things being equal the lion of Bourdillon’s stranglehold of Lagos may not crash in 2023 and for a longer time. It is true that no dynasty can last forever. In the long run, it will crash for a reason or the other. It may be as a result of the death of the face of the dynasty or the consciousness of the people. A man or a family cannot continue to lord it over the people till eternity. Power is transient. Even the Zhou dynasty that held sway in China for 790 years crashed on a particular day. Libya’s Gaddafi was also sacked not because he was a bad leader, but for the fact that the people wanted a change in government. The fall of political dynasties is therefore a natural law. However, as against the speculations of many that the Tinubu dynasty will follow suit in no time after Saraki’s, I can argue that, barring any unforeseen development, the dynasty is destined to live longer in Lagos beyond 2023. For the moralists, I am not here to say Tinubu is a saint. In fact, I have reservations for his brand of politics. But you cannot shy away from the fact that Tinubu is a blessing when placed side by side other Nigerian politicians of his ilk. In the previous series, I chronicled those factors that led to the fall of the Saraki dynasty. All those factors culminated in the rise of the masses’ consciousness in Kwara State. In the case of Lagos however, those factors that can degenerate in the collapse of the Tinubu hegemony have been relatively non-existent. An average Lagosian is still pleased with the Tinubu dynasty. Developmental strides are on-going in the nooks and crannies of Lagos. Though more efforts can still be made. Nevertheless, when Lagos is placed side by side some other states on development basis, it will continue to be a champion (local champion if you like). Tinubu, the face of the Tinubu dynasty, is in many ways the opposite of Saraki. Ace columnist Segun Adeniyi narrated how Saraki continued to look down on everyone in Kwara State until he met his waterloo. He added that Saraki was said to have been calling those old enough to father him by their names. He disdains everyone in the state. Not even the governor was exempted. Rumor has it that he once slapped the governor of Kwara State. 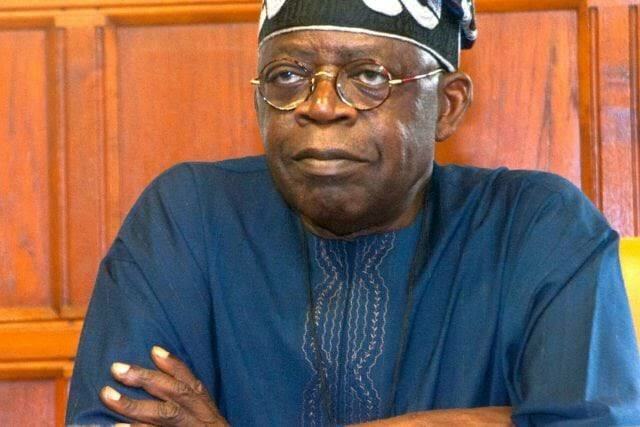 Tinubu, on the other hand, is humble and never undermines the might of anyone --- not even the rank and file. I was in the company of an elderly to the house of a grassroots politician in Ilasamaja, Lagos during the Ambode-APC tango. While discussing the factors that led to the fall of Ambode, governor of Lagos State, the man underscored that the prime factor was his arrogance and in-your-face demeanor for old party men. He added that not even Tinubu could disdain those elders Ambode scorned. He then emphasized that a factor that had been lifting Tinubu higher was his humility. He relayed how some party members had gone to the national leader of the APC to solicit his support to get a new transformer in their community. Tinubu was said to have not even dressed up properly before running down to welcome them. He assured them that their desire would be granted. In less than three days, a brand new transformer landed in that community. This is humility if you ask me. Tinubu, as opposed to Saraki, engages technocrats and advisors. He also listens to their advices which translates to the array of developmental strides in Lagos. Saraki, on the other hand, doesn’t listen to advices. He is full of himself. The fact that he engages the least qualified people to handle certain political offices added salt to his injury. All these paved ways for the loopholes in his government and that of his successor which was exploited by the opposition to drive him out of power. The Tinubu dynasty has a roadmap it follows in governing Lagos as opposed to the visionless Saraki dynasty. In addition, Tinubu is a man of his people. He doesn’t move far away from them. He is always at home to listen to their grudges. In contrast, Saraki is not that kind of politician that moves closer to the people. An account has it that he spent most of his time in Lagos while he was governor of Kwara State. Ditto he spends most of his days in Abuja as senator than in Kwara. How does he know the grudges of his people then? All politics is local. In addition, Saraki is an over-ambitious politician. He wants everything to come his way. This is why he is the “governor” of Kwara State, and at the same time the PDP state leader, the PDP national leader, the senate president, a presidential aspirant under the platform of the PDP, a senatorial aspirant in the same vein… You can add to the list. Saraki simply follows the philosophy of what I cannot get with my hand, I will rather use magnet to attract it. His ascension to the office of the president of the senate has been his bane. You should learn how to quit when the ovation is loud. Tinubu creates wealth where Saraki lavishes it. For the whole of 20 years Saraki spent in politics, no company or business organization is under his control in Kwara State --- not a single one. His media company has been operating epileptically in recent times. 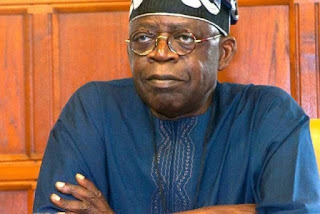 This is not Tinubu. If you like say he steals, he has, to the best of my knowledge, about 5 business organizations in Lagos State that several Lagosians and non-Lagosians are benefitting enormously from. Tell me how such a person will fall in no distant time. Add all these plus the fact that his has the backing of federal might; what you get is that the Tinubu dynasty has come to stay beyond 2023. Comparing Saraki to Tinubu is analogous to comparing death to life. There is a wide range differences between the two political actors. While one is greedy, the other is benevolent. While one is pompous and full of himself, the other is humble and respectful. While one creates wealth, the other destroys it. While one builds friendship, the other ruins it. Thus, predicting the fall of Tinubu using the Saraki parable is unfounded and a hasty generalization. If you ask me, Tinubu’s dynasty, barring any unforeseen development, has come to stay in 2023 and beyond. Abdullah is a public affairs analyst. Reach him via 08090637356 or olamilekanhalarho@gmail.com.